The Battle of the Somme lasted from the 1st July 1916 until 18th November 1916. To help advance Allied objectives, on the 19th July, having postponed for 24 hours, the Australian 5th Division, under the command of Major General J. W. McCay, began their assault on the ‘Sugerloaf’ at Fromelles, a salient held by German forces. It had been identified as an objective whose capture would divert German attention from Allied troops attacking elsewhere. Among the soldiers serving in the 5th division was 3047 Private Robert Dewar, my great, great uncle. 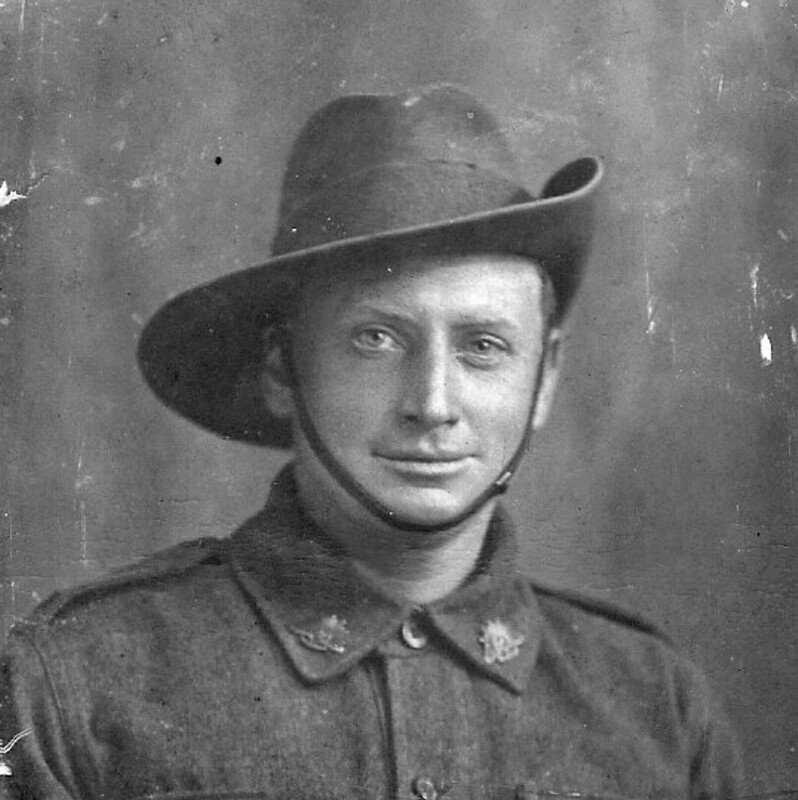 Assigned to the 55th Battalion, which in turn was assigned to the 14th Brigade, part of the 5th Division, Fromelles was the first engagement of the war for the 55th Battalion and so the first engagement for Robert. When the 14th Brigade attacked at 6pm on the 19th, hundreds of soldiers were mown down by German machine gunners whose commanders had realised the attack was merely intended as a feint. Robert and his comrades in the 55th Batallion were initially held in reserve, but, as the assault began to go horrifically wrong, they were ordered to provide a rearguard for the initial assault troops. The result was a catastrophic failure. The Battle of Fromelles as been described ‘the worst 24 hours in Australia’s entire history.’ The 5th Australian Division suffered 5,533 casualties, rendering it unable to engage in offensive operations for many months. 1,717 of those casualties were in the 14th Brigade. Robert was among them. Identifying the remains of soldiers who died at Fromelles has been a priority for the Australian Army in the guise of The Fromelles Project. So far, 144 soldiers have been identified. Robert, in 2010, was one of the first, with my family providing DNA samples. On the 5th October 2014, just before dusk, Robert’s name was the eighth read out at the Tower of London in the moving Roll of Honour. The young Robert left England for Australia in 1907 as an unassisted immigrant and upon arrival took up a position as a tramway conductor in Sydney. Enlisting in late 1915, he embarked for Egypt just before Christmas. At the same time, Robert’s father was serving on troop transports in the Mediterranean. In June 1916, a few days before Robert sailed for France, father and son had a chance encounter at Port Said. They had not seen each other for nearly nine years, and the surprise reunion may have seemed like a good omen. 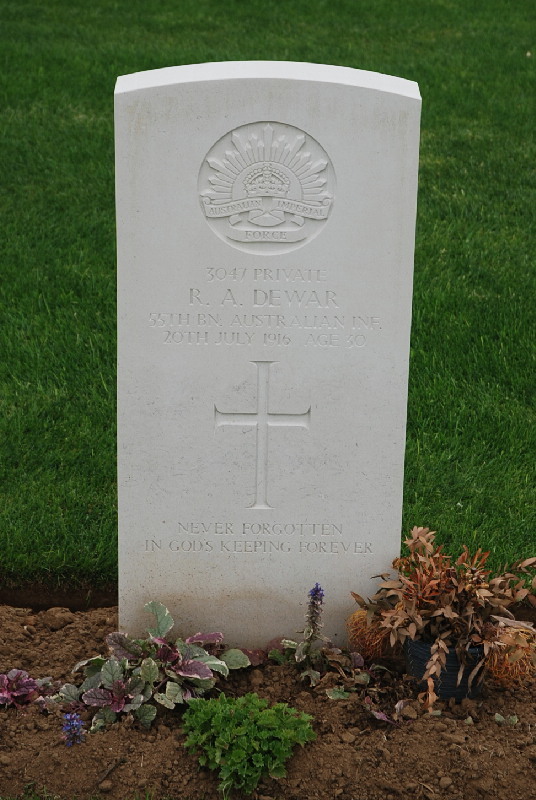 It’s highly likely that Robert Dewar Snr was the last parent of all the Australians killed at Fromelles to see his son alive. On the night of 19th July, Private Robert Dewar was attached to the 55th Battalion’s prisoner guard, but when the situation became desperate, he was ordered forward to support the weakening Australian line. As reinforcements for the battered 53rd Battalion, Dewar and the 55th fought hard to repel German counter-attacks, even conducting a bayonet charge. Unfortunately, they were not able to restrain the Germans for long. It was approaching morning when they finally realised their position was untenable and that withdrawal was the only option. As Dewar was returning to the Australian line, a shell burst close to him and, according to a witness, he was ‘knocked about a lot’ and killed. Identifying Robert’s descendants was astonishingly simple. A Google search of his name yielded a website about the Volturno disaster. At that stage we weren’t sure what we were looking at, but we were delighted to discover it contained a great deal of information about Robert’s father and a relatively detailed biography. All we had to do then was email the website creator, who graciously forwarded our message of introduction, and in no time at all we had made contact with a living descendant in England who was more than happy to help. It was our first search, but compared to many searches to come it was also, unfortunately, an exception to the rule. off to night to big battle Trust to God that I come through all right. have not been paid since last entry so amount owing to me now is £2-9-1 to date with defferred pay 10.7-0. making £12-16.1 all told so I hope the wife gets it if I pass out. It promises to be worse than the other night. Good Bye Nell & Boys, Viv, Jean Syd Arthur Mary & Walter & Kate & all Friends hope it is only Au revoir. 9. p.m. Flaubeux is the name of the place where we were bombarded. am writing this not 100 yds from our guns which are shelling the germs. & they are sending them in wholesale, its wonderful how any thing can live under them when the burst. am on munition carrying again & it is a dangerous game, not knowing any minute when a shell will burst here. The big thing did not come off last night as expected & dont know when it will. was out carrying munitions all day 60 lb Bombs etc am now out here again & the shells are flying round like ants its awful this is the big day & God knows how many of us will come out of it alive. & if any man was thankful for his safety from such a hell I am he. Nearly all our officers are dead or wounded & the Batallion is about half a company Batallion now. of the 54th Batallion about 200 are left & they died like heroes every one of them. There are some Prisoners but we took about 200 germans so equalised that way. We look a sorry crowd covered with mud from head to foot arms, legs, eyes, noses, fingers bound up. Yes by hell we caught it & those who think this war is nearly over are in for some surprises I give it another 2 years at the least. One narrow escape I had. 3 of us were taking shelter from shells with our backs against a Trench island when a shell plumped right into the island shoving the dirt up against our backs but did not explode, if that was not Providence I dont know what is for had it exploded the 3 of us would be just about ready for cemertry by now. It was a ghastly night stepping over the dead men in the trenches some of them being only half there a lot of my chums are gone & I can only account for 3 out of my section of 12.
the General was awfully pleased & said that the attack was done just as it was desired & that it was a feint to draw the Germans from the Somme front. We are away from the firing line & all done up & going to bed I dont want such an awful experience again & dread another battle, all our nerves are unstrung & the roar of the guns has deafened a lot of us, again Thanks to God for bringing me threw such a shambles. We have hardly any officers left so have to be reorganised. I cant help the feeling that mother is interseeding for me, when the shells are bursting all around me & over me I get this thought into my brain, how I wish I could be the man she wanted me to be. have not been paid yet so they owe me £2-12-1. & the amount to date now with deferred pay is £13-2-1. we took them but could not hold them a great feather in our cap. now that I can calmly look back on the affair it seems simply a miracle that any of us came out of it unwounded. The huns have been here two years & know our trenches as well as they know their own so could shell us when they liked. 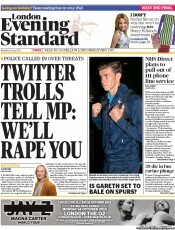 I suppose there is some small report in the papers about it this morning it wont be much I’ll bet. Just got two letters from Nell & Jack they still think am in Egypt wish I was. Shall answer Nells to day may be the last. had a Roll call just now. I am the only one in 9 section & there are 9 in the Platoon we muster about ½ of a Company all told in A. the others likewise. All my chums are dead or wounded & the guns are still Booming about 1 ½ miles away. should see Viv today or Tomorrow as the reinforcements are coming up. Just having tea & the shells are flying over our heads you dont know when you are out of danger here, the Planes are flying about & the enemy guns are firing at him, how long I wonder will this continue. A Hun Prisoner says the war will be over in August I hope he is not a liar. We are all scattered about in little groups discussing the event & telling one another about this one gone and that one wounded its almost unbelievable to think of fellows with us a day ago & now, in the cemetry. Expect to go back into the firing line Tomorrow night. Below is a picture of Robert Dewar. His parents were Robert and Kate Dewar, who lived in a very ordinary suburban house at 700 Barking Road, Plaistow, London, England. I imagine Robert growing up there, playing in the garden, dreaming of adventures on the other side of the world. I imagine, too, that neither he nor his parents imagined that one day he would die in France in the most terrifying of circumstances. A triptych is a work of art usually divided into three pieces. Typically, in a painting, the central panel is larger and flanked by two smaller, related panels. I wrote the following three poems inspired by the memory of Robert Dewar, those like him who gave their lives – and those they left behind. The roots of snowdrops and celandine. Nor the chill kiss of November’s dusk. In the darkest, loneliest hells. By flat-footed clerks in Woolwich. Fine things on their wedding day. Made in Essen by girls with dreams. Memorial to love now lost. There was a form of TV show that, from an early age, accompanied my Saturday afternoon escapades chasing criminals through the living room, out into the garden and through into the field. Whether a shoot out in the bank (the chicken run) or defending a village under siege from evil gangsters (the camp we made in the hedge down by the ditch), an afternoon of heroics was not complete without suitable imaginary action music accompanying our antics. Without further ado, here are my top ten cop/action sound tracks. For some, their first police drama was Z-Cars. for others, Dixon of Dock Green. For me it was Juliet Bravo. It had motorbikes, cops and California. Oh yeah! Even though it had Captain Kirk in it, I wanted to be Adrian Zmed. And my first TV crush (Penelope Pitstop aside): Heather Locklear! Guns and Mullets Part I. It was rough and tough and British. This is here in tribute to my cool bro Seth, who had a real thing for KITT. And David Hasselhof. Guns and Mullets Part II. I was absolutely and utterly in love with Glynis Barber. There’s nothing else to add. Like Juliet Bravo, this was one of those rare things – a cop show to watch with your Mum – and one of the most memorable theme tunes of all. There had been nothing like this on TV when it appeared, with its glamour, guns, drugs and 80s squealing rock guitar. If there is one of these theme tunes that has stood the test of time, it is this one. 27 years after the last episode aired, you still here kids humming this one. And I was Hannibal. Seth, of course, was Face. From the moment we first start listening to music, we seem to take those we like particularly and build them into the story of who we are. It occurred to me in a moment of holiday reflection that actually, the tunes that were first added to the mental mix tape that is the eternal soundtrack of my life (latterly full of everything from Allegri to Lady Gaga to Heaven’s Basement) came from the cartoons that captivated me in my 70s and 80s childhood. Whilst I loved the classics – Tom and Jerry, Bugs Bunny etc – there was a certain form of episodic cartoon that I looked forward to. Coming home from school, that sacred 90 minutes from 4pm to 5.30pm could throw up any one of a number of animated adventures that could enthral a young lad who spent too much time living in his head. So here, without further ado, my run down of my top ten favourites. I am sure I wasn’t the only one with a bit of a crush on Ms. Pitstop. And there was something about this tune that just stuck in the brain. Daphne ran Penelope a close second. And let’s face it – this was a theme tune we all sang in the playground. Cos we were so cool. I could never get on with Mysterious Cities of Gold but somehow the tune snuck in and got stuck somewhere around the hippocampus. 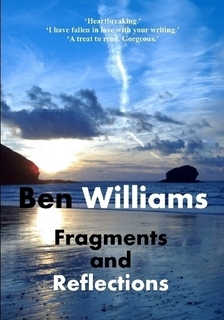 You have to wait a while to get past the blurb, but it’s worth it. Honest. Before we had a new-fangled Video Cassette Recorder, I remember sitting next to the telly and holding a microphone to the speaker for the duration of an episode. The mic was attached to one of those old flat tape recorders. I swore to anyone who would listen that it was as good as a video recorder (I was a deluded child) and made a point of regularly listening to that one episode over and over again. Oh yes. I was Hercules. I have always been a sci-fi geek. These were robots that became cars and planes and lorries. I mean, WTH? That was just too cool. We’d not seen the like – and that song. “Transformers! Robots in disguise…” This one’s for you, little bro. Just how cool was Dangermouse? It’s one of those shows that if I watched now, I am certain would be laden with cool humour and grown-up in-jokes. We’ve all worked with Baron Greenback – and we all know Penfold. Just sayin’. He-Man was the ultimate male warrior for all of us playground crusaders. Every playtime for years you would hear kids running around screaming ‘By the power of Grey Skull…’ (prob spelled ‘Gray Skull’ natch). With his cowering lion, one thrust of his sword skyward and he was transformed from the Prince of Eternia into He-Man. ‘I’ve have the powwerrr!’ None of us spotted that he was wearing pink. As ear worms go, this one has the longevity of a cockroach. I’ve no idea when I last saw this on TV but sometimes it still gets into my head and won’t go away. Oh yes. Also, Laura fancied Dogtanian. I am not sure what that says about me. Or her. And an occasional sad sigh of rubber on glass. So casually made and then forgotten. As we sought those few we recognised and loved. Some borne away on the rivers of our seasons. And, lastly, bid each other fond farewell and left. I’ve finally decided to stop tweaking it. I wrote it a few months ago and let it lie before returning this month to make a few final edits. If you enjoy it, please feel free to share it. Comments welcome.